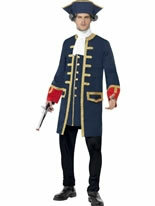 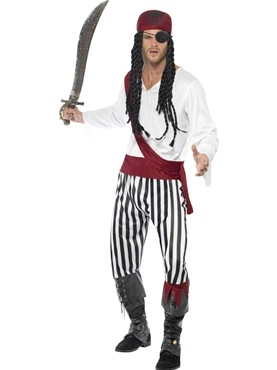 Jump Aboard the Pirate Ship and Set Sail on a High Seas Adventure in our Adult Pirate Costume! 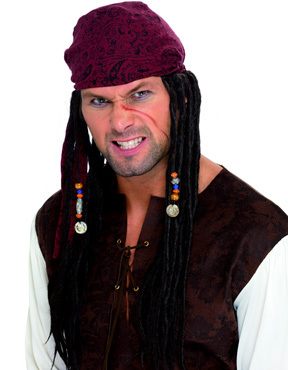 Shiver me Timbers, is that a Pirate I See? 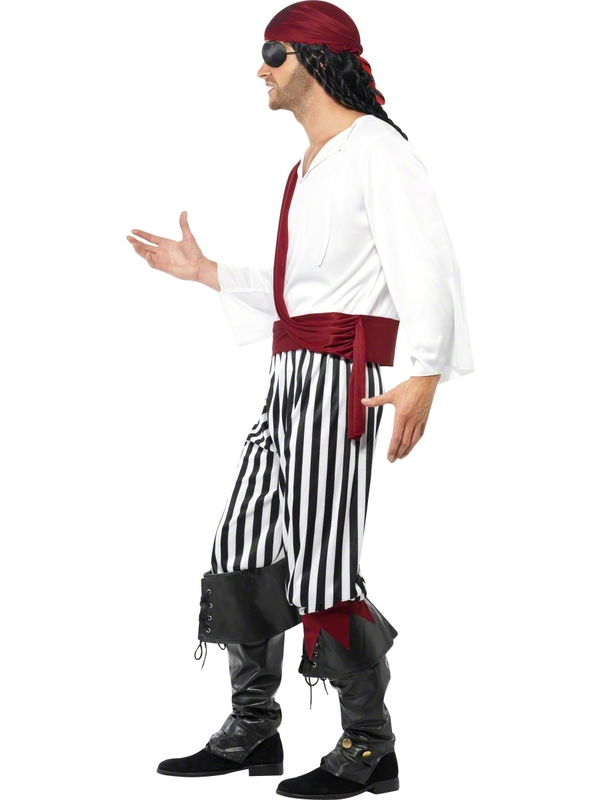 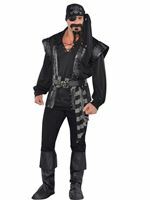 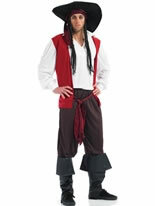 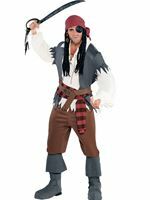 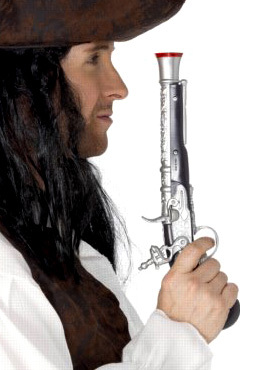 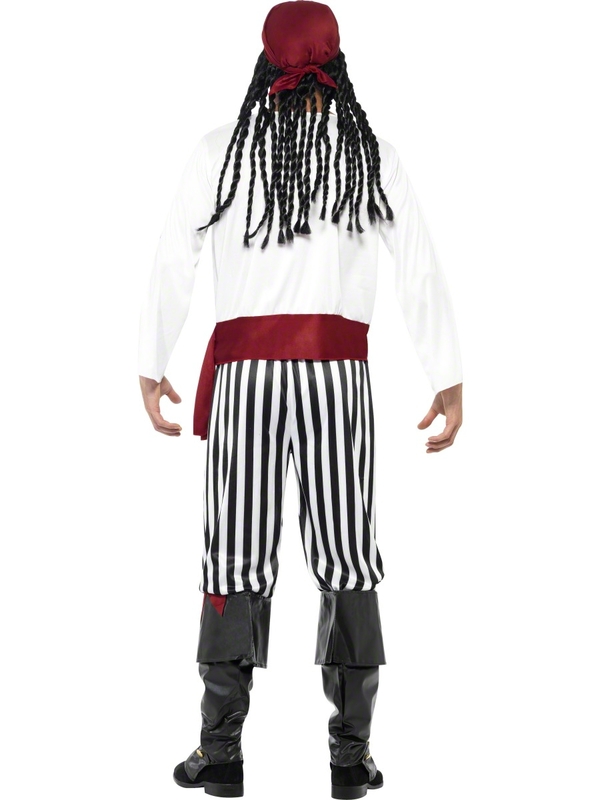 Our Adult Pirate Costume comes complete with the White V-Neck Shirt with Draped Sleeves along with an attached Red Sash and a Pair of Black and White Striped Trousers with the Zig Zag Detail on the Bottom. 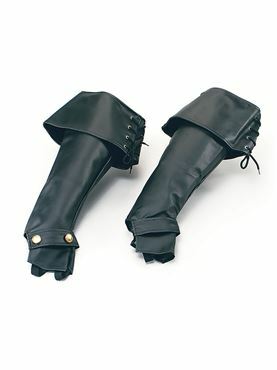 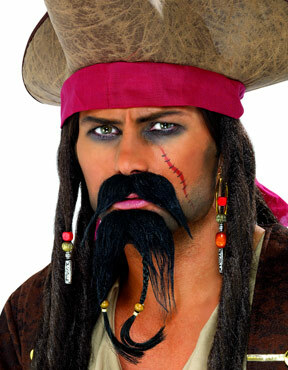 The Male Pirate Costume is completed with the Red Headscarf with a Black Skull Print. 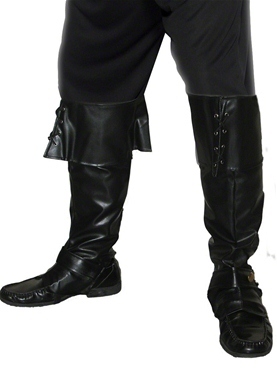 Please note that the Boot Covers are not included. 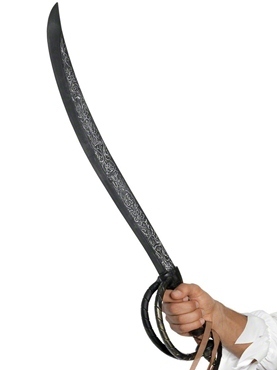 Medium 38" - 40" 32" - 34" 32"
Large 42" - 44" 36" - 38" 33"